Last year, the very much in love and newly wedded couple, Katy Perry and Russell Brand, made quite an impression with their bold choice of matching wedding bands. 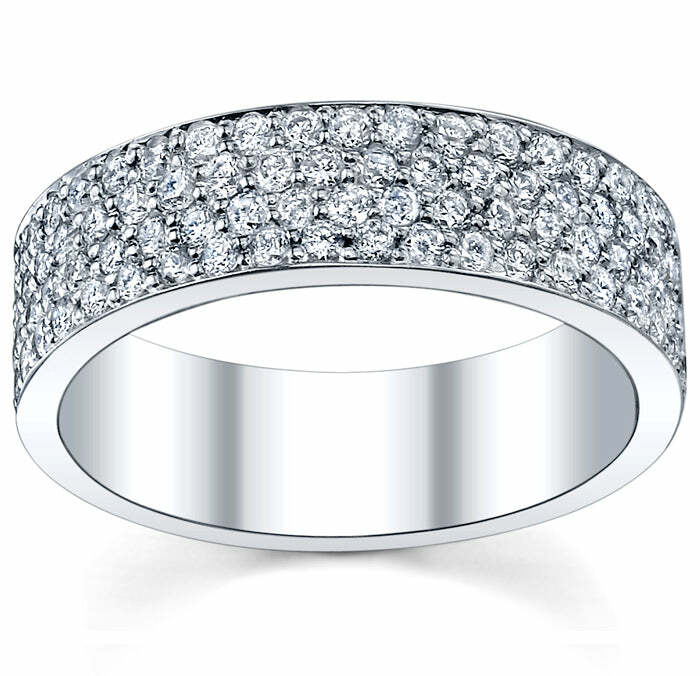 Each of them wears an eternity band featuring multiple rows of micro pave diamonds. You can achieve the same look and at a fraction of the price of their rings with a diamond eternity band from deBebians. A 4 row pave diamond eternity band is a work of art. One of these rings can be worn as a wedding band by a man or a woman. While Russell Brand truly breaks the norm for his choice of wedding band, it is true that anyone can wear one of these amazing pieces of jewelry. A diamond eternity band can be customized to achieve the desired look that is desired. Carat weight, setting, and even metal can all be changed to create a truly unique wedding band. Embrace your own celebrity style with one of these amazing rings. You will never want to be without it.